A small, well-maintained, crystal clear pool is on site for all owners and tenants to enjoy! Built in 1967, this boutique condominium consists of 48 residences. 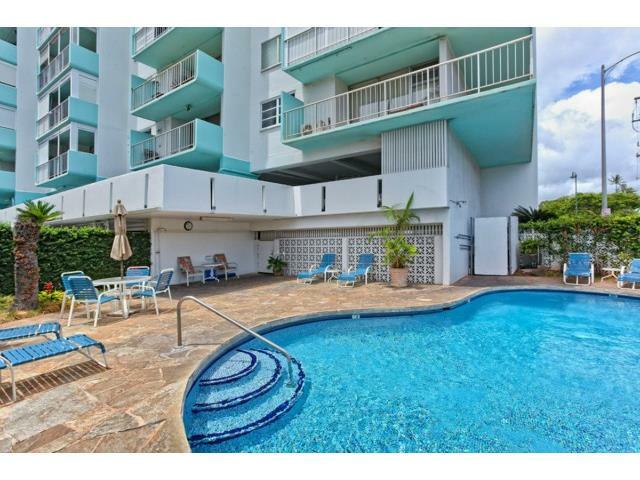 Each unit having 2 bedrooms, 2 bathrooms, a large covered lanai and 1 assigned parking space. Few Waikiki condos have what could be called an unfavorable location. Even fewer are positioned as nicely as Makee ‘Ailana. First and foremost, the most obvious is that it’s only a 1 block stroll to the beach. And you see the south pacific every step of the way! To reach Makee 'Ailana, you either rowed by boat or walked one of several narrow wooden plank bridges. 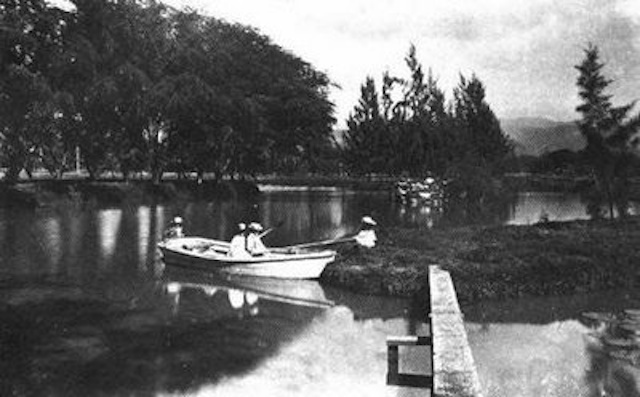 Before the Ala Wai Canal was made, Kapiolani Park was a watery region of swamps and ponds dotted with islands and islets. The largest of these man-made islands was called “Makee’s Island”. It was in the northwest (Ewa-mauka) corner of the park, where Makee Road joined Kapahulu Road which eventually became Kapahulu Avenue. PLEASE LOG IN BELOW TO ACCESS IMPORTANT NOTICES, NEWS, DOCUMENTS & FORMS.